Divorce with children is never a smooth or amicable situation. 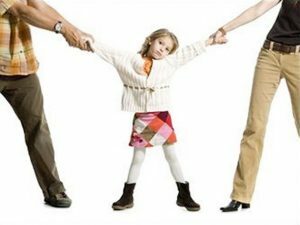 Unless there is a joint custody arrangement, the battle for custody and visitation can often be messy. There is little question that both parents love their children to the end of the world and back, but as there is not King Solomon to split children into two, there is often the difficult decision in family court to determine who will be the custodial parent and who will be the non-custodial parent and how visitation will be worked out so both parents have a reasonable opportunity to be in their children’s lives. Once a deal is brokered in regards to custody and the non-custodial parent is established, a legally binding visitation agreement is devised, where the court puts into writing the visitation schedule for the non-custodial parent as the result of negotiation between the parties. The agreement spells out the dates and situations in which the non-custodial parent will be allowed (if not required) to have visitation with the children, and it is legally binding in that both parents must uphold their ends of the deal. If the non-custodial parent is to have the children from 5 p.m. Friday until 10 p.m. Sunday every weekend, then it’s the custodial parent’s legal duty to ensure that the children are there on time on Friday; and it is the non-custodial parent’s job to make sure the children are delivered back on time on Sunday. Even a small transgression (where a parent will be late and does not communicate it to the other parent) can be considered a violation of the agreement. But what are the consequences if violating that agreement? Or what are the consequences if one parent has a sense that the child is not safe with the other parent? Can a parent withhold visitation for a justifiable reason? Unless the visitation agreement has stipulations that allow for justifiable withholding (provable child abuse or neglect, for example), there is no legal avenue in which visitation may be withheld. When it comes to these agreements, there is a difference between justified reasons for withholding and legal reasons for withholding. No matter which side of the custodial fulcrum you are on, you have rights as a parent to be present with your children, even if it is not as often as you might wish. Honoring the terms of the visitation agreement is essential, and so is resisting the temptation to withhold visitation for any reason. If you need a resolution in your case, there are legal options available to you. Contact one of our family law attorneys to discuss your parental rights and ensure that the visitation and custodial agreements are complied with on a regular basis, for the sake of the children.